Elizabeth Hadley Richardson was the first wife of American author Ernest Hemingway. The two married in 1921 after a courtship of less than a year, and moved to Paris within months of being married. 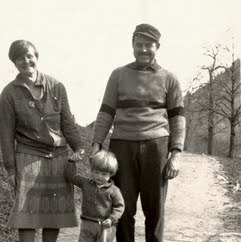 In Paris, Hemingway pursued a writing career, and through him Hadley met other expatriate British and American writers. In 1925, Hadley learned of Hemingway's affair with Pauline Pfeiffer; she divorced him in 1927. In 1933 Hadley married a second time, to journalist Paul Mowrer, whom she met in Paris.